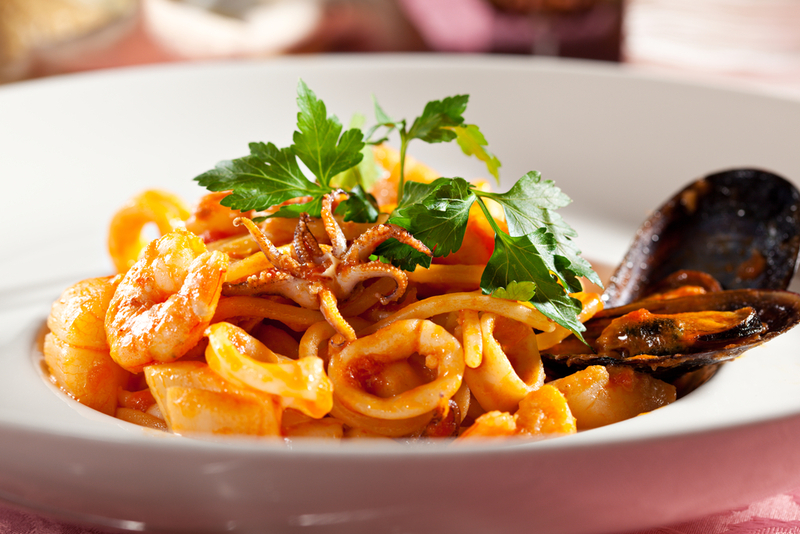 There are many pasta recipes with seafood in it. The truth is, it is one of my favourite ways to cook seafood. I like how it can be the whole meal. I just have to add some bread and my meal is complete. This is why I have tried and cooked a lot of pasta recipes in the past. Of all the recipes that I have tried in the past, these are the ones that I have always come back to. I am not really sure the exact name of this but this is the fastest of the pasta recipes with seafood that I have prepared in the past. When I come home very hungry, this is my go-to recipe. I start by chopping some garlic, onions, tomatoes, and herbs like parsley. Then I put some olive oil in a large frying pan and cook the onions and garlic first. I add some paprika, tomatoes, and chicken stock. Once everything has come to a boil, I turn the heat down and let it simmer. I stir in some raw pasta that I have broken down. This cooks for 7 minutes – to soften the pasta. I keep on stirring so the pasta will not clump together. I then stir in any seafood that I have. It could be shrimps, fish, mussels, etc. Whatever I have. I let it cook from 3 to 5 minutes – depending on the seafood I added. I then use salt and pepper to season it. This dish is usually served with parsley and some lemon slices. In 20 minutes, my dish is ready to be eaten. I love this dish. It feels like I am eating it along the seaside in Italy. I start by slicing some calamari and covering mussels with cold water. I also chop some garlic, shallots, and parsley. To start making it, I bring some water to a boil (in a saucepan). I add some salt and once it boils, I add enough pasta and let it cook until it is al dente. In a pan, I put some cooking oil and saute garlic, shallots, capers, and anchovy paste. Some diced tomatoes and white wine are added next. I add the mussels next and let it cook for 5 minutes. The calamari comes in next. This takes around 3 to 4 minutes to completely cook. Once the squid is cooked, I add the cooked pasta and squeeze in some lemon juice. I season with salt and pepper and garnish with parsley after plating. I usually eat this with some bread and white wine. 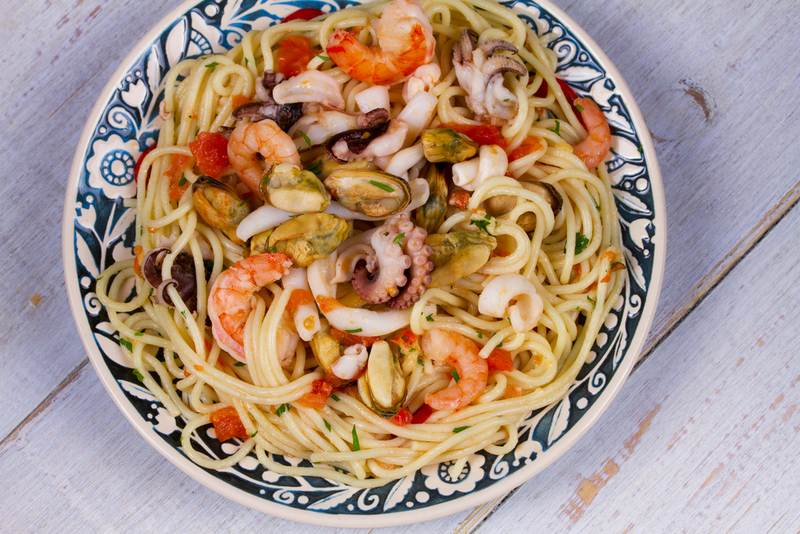 I hope you like my two favourite pasta recipes with seafood. There are a lot of versions like those with white sauce. However, those with tomatoes are my favourite. 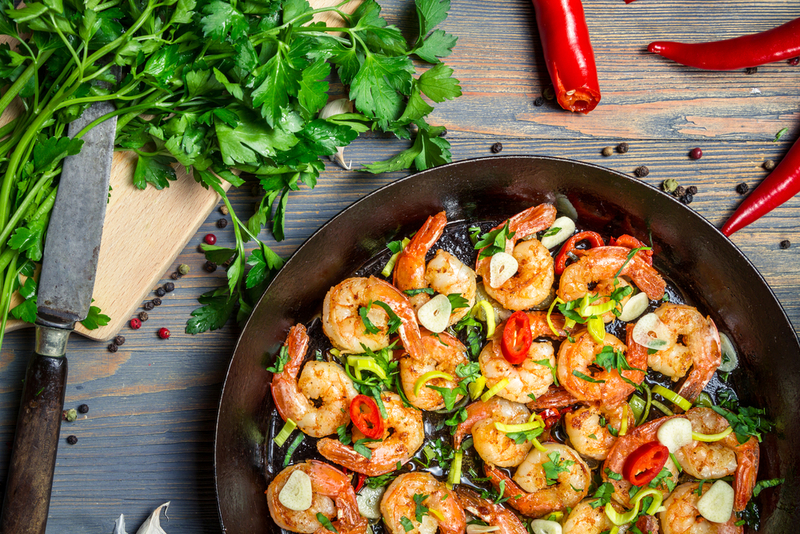 Do you know the benefits of eating seafood? Apparently, this is one of the healthiest dishes that you can enjoy. In fact, a lot of people all over the world use it as their main source of protein. Regardless of the economic status, it is easy for people to eat seafood. Those living near any body of water can catch it for free – unless of course, they are on private property. 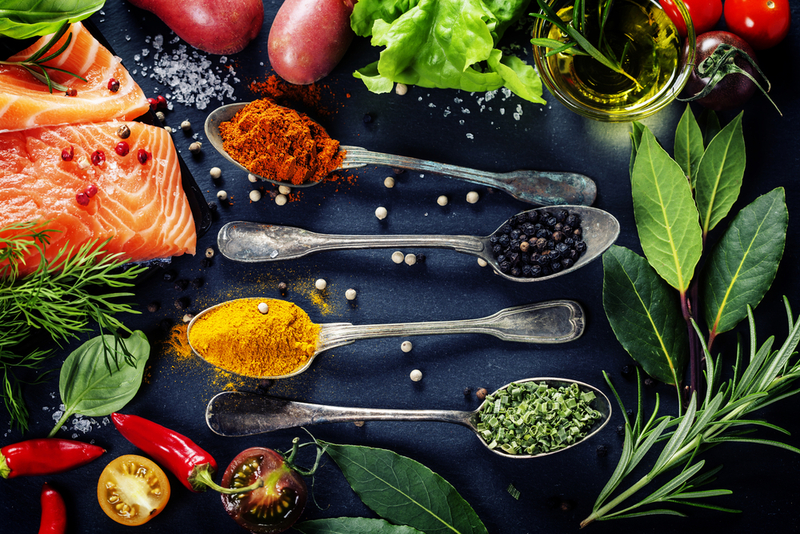 The truth is, you do not really need to eat a lot of fish if you want to enjoy the nutritional benefits that it can bring. You only need a small amount – around 140 to 280 grams each week. And that is for adults. Kids should consume less than that. But what exactly are the benefits of eating seafood? Let me break them down for you. 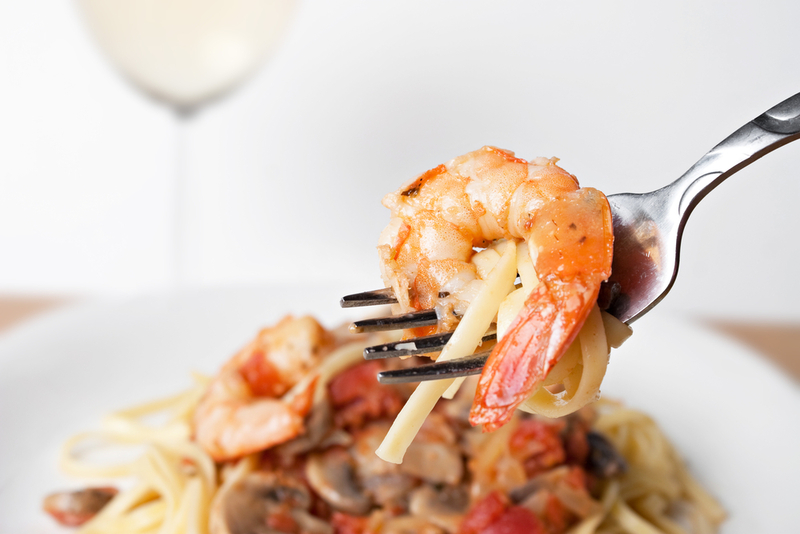 Seafood contains fat – but it is the good kind of fat. Not only that, the fat content of this seafood is only 2%. If you want to lose weight, this is a great source of protein. It is not like meat or chicken wherein you have to remove the fat. There is hardly any, to begin with, so you do not have to do anything. Another thing that is great about seafood is that it is also low in cholesterol. Like fat, we also need cholesterol in our body – but the good one. That is what seafood can bring you. Not only that, the low-fat content in seafood will also help lower the existing cholesterol that you have in your body – which is also a great benefit in lowering the risk of a heart disease. 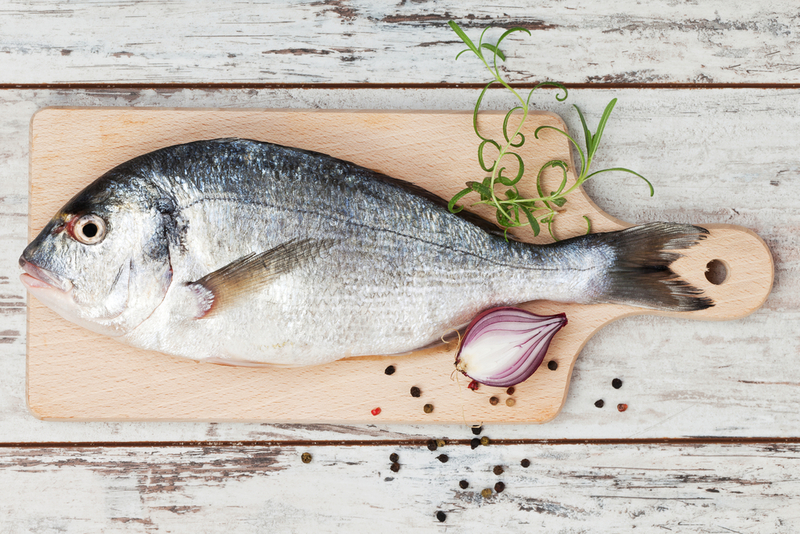 Even with a small dose, fish can give you the protein intake more favourably than meat and chicken. If you are exercising, having enough protein in your body is very important. You can include seafood among the dishes that can give you this. Apart from protein, you will also get a lot of vitamins and minerals from eating seafood. Among what you will get includes zinc, potassium, iodine, and phosphorus. You will also get a healthy dose of Vitamin B – the whole group. 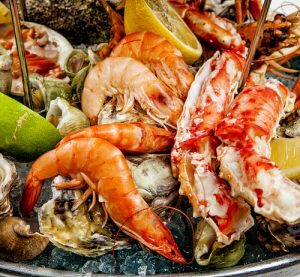 This is probably one of the most important benefits of eating seafood. This is a type of fat – polyunsaturated fat, to be exact. It has a lot of nutrients that are essential to make our bodies healthy. While our body needs this, we cannot produce it ourselves. That means you need fish more than ever. You have to eat it at least once a week. Now that you know the various benefits of eating seafood, you should make sure that it is always a part of your weekly meal plan. Seafood on the BBQ is one of the best ways to prepare this dish. 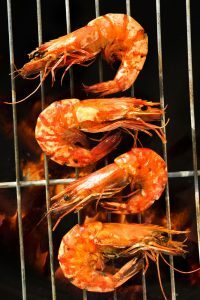 The grill brings a smoky flavour that is a great compliment to the delicate taste of any seafood. 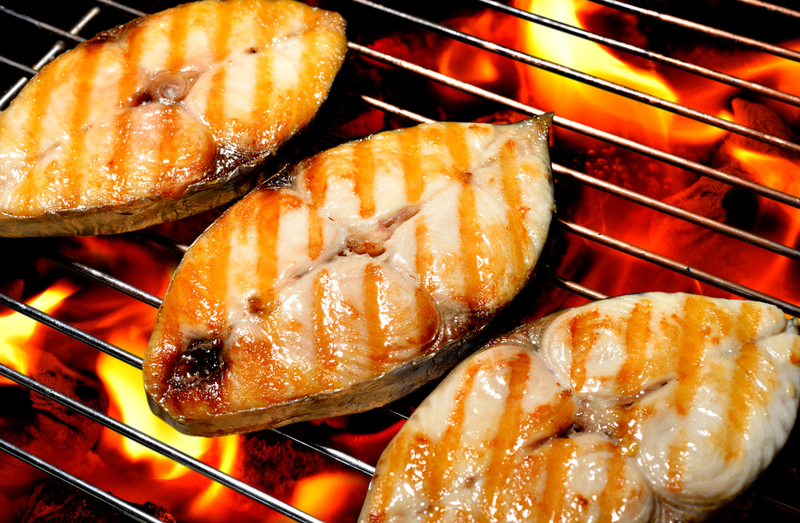 Of course, grilling fish or any type of seafood requires the right process so you get the taste that you want. If you do not know what you are doing. You might end up with a different flavour. Or, you could end up drying out the fish too much. 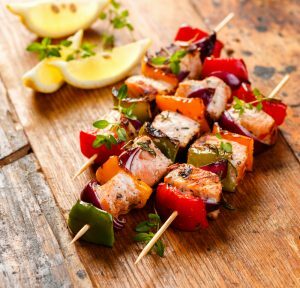 In this article, we will be discussing the basics of what you need to know when you want to put seafood on the bbq. First of all, you need to know how to prepare the bbq. You have to start by cleaning the grate of the grill. This will minimise the chances that the fish or seafood will not stick to the grill. If it does stick, it will ruin the appearance of the dish. The fish has delicate skin and it can easily stick and be removed. This can easily be avoided by cleaning the grate properly. The next thing that you should do is to oil the grill. You can simply get a paper towel or brush and use it to spread oil over the grate of the grill. You can liberally spread the oil. Once oiled, you can now warm the grill. Use gas or charcoal bbq to heat the charcoal. Wait until it turns grey – that means it is already hot. There are many ways to cook seafood on the BBQ. Let us concentrate on fish in this article. There are actually two ways you can barbecue fish. The first option is to barbecue fish fillets. 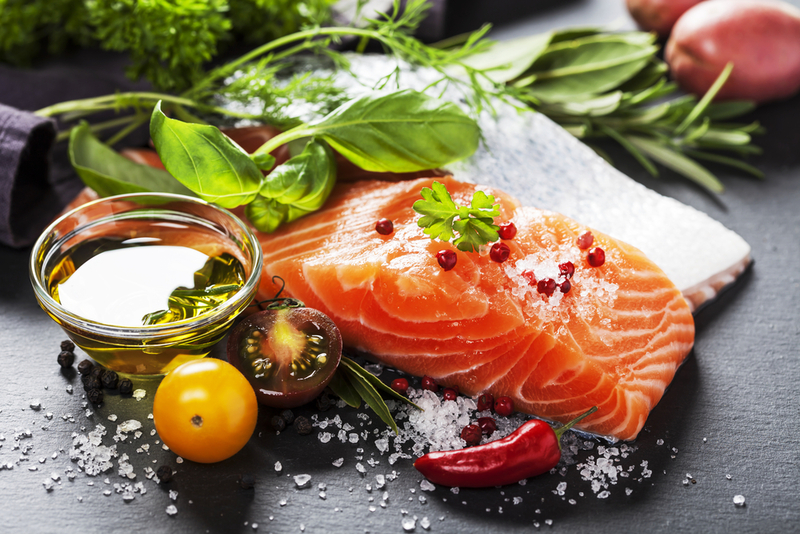 You have a couple of options before you like salmon, halibut, swordfish, and tuna. It is important to look for a fish with a thick and steak-like texture. This will keep it from falling apart when you grill it. Once you have chosen the fillet, you can prep it by spreading oil and spices all over it. 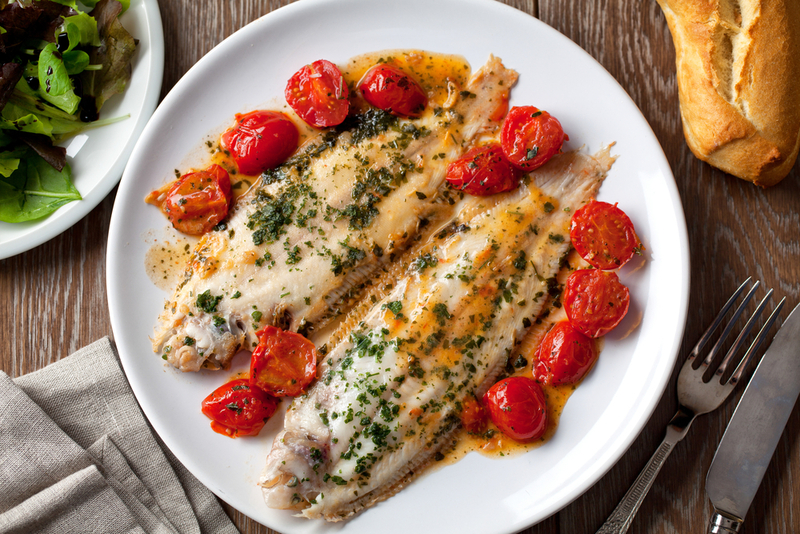 Olive oil is the best to use to grease the fish. When it comes to spices, salt, and pepper is usually enough. Sugar will make the fish stick to the grill so do not use that. In case you want to add more spices, you should grill the fish inside a foil. If you do not want to use foil, you should place the fillet skin side down first. This helps hold the fish together. Let it cook for 3 to 5 minutes before you flip it over using a spatula. Once done, you can remove it from the grill and place it on a plate. Another way to cook seafood on the BBQ is to use whole fish. What is important here is you should buy fresh fish. Not only that, you should clean it properly. That includes getting the scales out. If you do not know how to do this, ask the fish vendor to do it for you. Before you grill, score the skin so the heat can enter the fish easily. You can use a paring knife and slash both sides of the fish. Cut deeper where the meat is thicker. Seasoning will be the same as the fillet. However, you need to make sure you season even the inside of the fish. You can stuff the inside of the fish. If you want to keep everything inside, you can use a foil to wrap the fish. For the stuffing, you can use onions and butter, or garlic with rosemary, or even thyme and lemon. Since you are dealing with a whole fish, it will take longer to finish cooking. It will take around 8 to 10 minutes to completely cook. Make sure the heat from the coals is not too high or else you will burn the skin of the fish – which might taste bitter. Seafood on the BBQ is best served with a side dish. There are a couple of options. You can serve it with potatoes – french fries or chips. You can also serve it with brown rice or quinoa. If you want a salad, you can serve bean or caesar salad. You can also steam vegetables or serve it with pasta. You need to get to know various techniques when cooking different types of fish. The truth is, it is easy to cook fish. However, you need to know the right technique to use in order to get the right flavour for the dish. Not only that, the meat of the fish is not tough. You need to know how to cook it well so it will not end up too dry and it will not break up. The same is true for other types of seafood. If you do not know how to cook them well, you might end up with a dish that is too rubbery or tough to bite through. Cooking different types of fish is not that intimidating. The truth is, you can familiarise yourself with only three types of fish and still be able to create a lot of dishes. 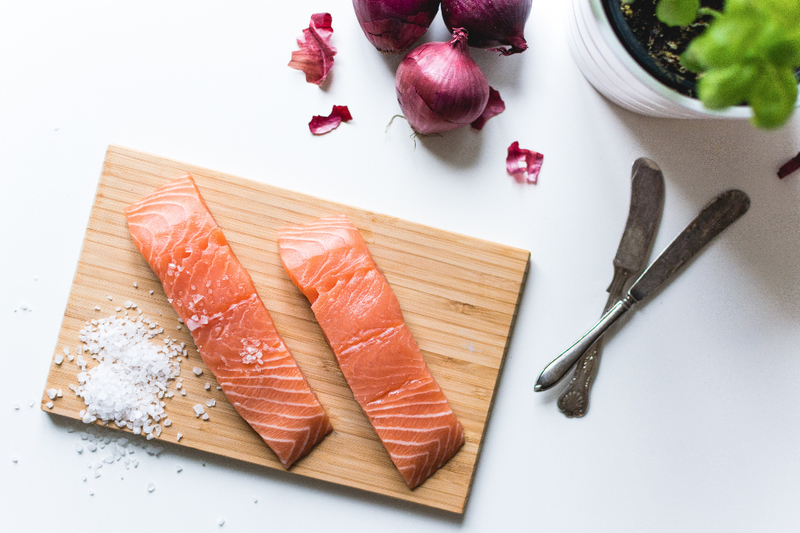 For instance, salmon is one of the most popular fish to use when cooking seafood dishes. You can use it in a salad or soup. You can bake, fry or grill it. You do not have to learn about all the types of fish for you be able to serve a great seafood meal for your family. Let us discuss how you can cook three of the most famous types of fish. This type of fish is a migratory fish. 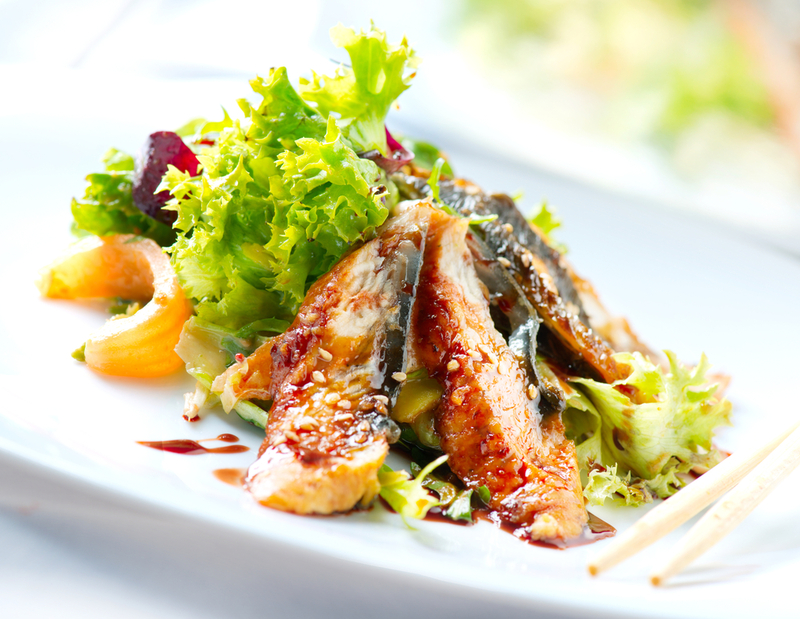 It is high in omega-3 – making it a very healthy fish to eat. The thing is, the meat of a salmon is like a steak. It is also very rich and tender. That means you need to know the perfect way to prepare it. Given its texture, you can actually prepare it in different ways. However, the three best ways to do it is to grill, poach or smoke it. This is another popular type of fish to cook. It is light and flaky. That means it is great to use in dishes like fish tacos. In England, it is oftentimes poached before added to dishes. But the texture of the meat also makes it ideal for baking, grilling, frying, and broiling. This type of fish can be found in tropical waters and temperate climates. It is one of the most popular types of fish to be used – all over the world. This is a very flavourful fish but at the same time, it is also very flaky. That means you can do what you want with it. This is probably one of the most versatile in among the other seafood ingredients that you can cook. You can fry, bake, broil and even can it. What do you think of cooking different types of fish? As mentioned, you do not have to know everything. 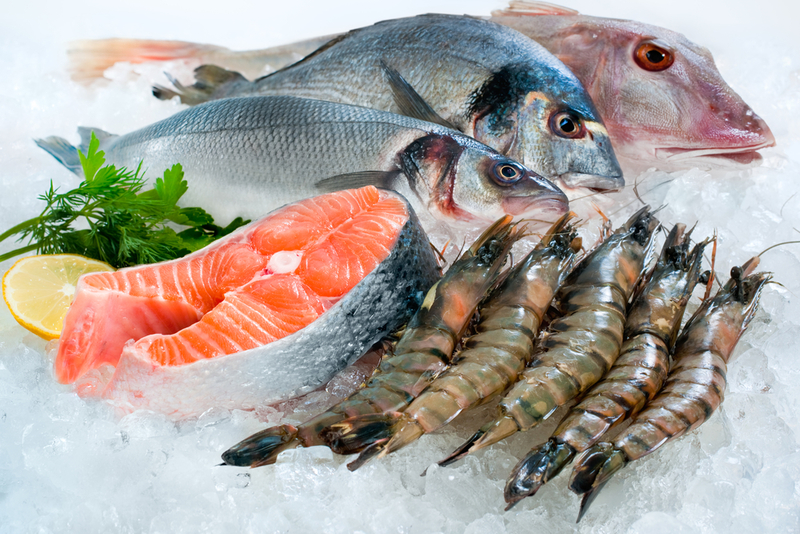 Just choose the types of fish that you and the rest of the family prefer to eat. Then you can concentrate on learning how to cook them. If you are looking for seafood restaurants in London, you are in luck! There are so many options for you to choose from. The locals love to eat seafood so there are bound to be a lot of these around. A great restaurant does more than just serve seafood dishes. Of course, the dishes are important but that is not the only thing that will make people come back for more. The restaurant should also excel in other areas like service and the overall ambiance. Both of these are important in providing you with the best dining experience. So what are the names of the best seafood restaurants in London? Here are four of the best options that you have. This restaurant is a Michelin star holder. If that is not enough proof that you should try this restaurant out, then you will not be disappointed. Upon entering the restaurant, you will know why they deserved that star. First of all, the dining room is airy and very sleek. It is located in the South Place Hotel, on the seventh floor to be exact. This gives you a great view of the city while you eat. The menu consists of flavourful dishes like the gourmet barbecue, crisp-fried scallops, etc. If you want mussels, this is the best restaurant to go to. It is generally expensive but it is all worth it. The restaurant is a fun place to dine in. It used to be a pop-up restaurant. But because of its success, it became a permanent one – much to the delight of its loyal patrons. The seafood is really good. You get to enjoy mussels – since it is obviously the focus in this restaurant. But you also have other seafood dishes to enjoy. They have surf ‘n’ turf nights and even Sunday roasts. The place has a nautical theme to it and they also serve the best cocktails to compliment the seafood dishes served. This place has everything that you need. It has a bar and an old-school restaurant. The menu is also quite expensive but one taste will make it all worth it. The ingredients are picked with only perfection in mind and the flavours coming from every dish is delightful. They serve the classic seafood dishes like stuffed baby squid and fish pie with lobster. Probably one of the great things about this restaurant is the dining area that is shaped like a ship. Of course, the dishes are also quite great. They offer a lobster salad that is served with sorbet. They also have a pistachio and rhubarb tart. The highlight, when it comes to the dishes, is the Norwegian red king crab. It is actually prepared in 4 ways – you get to choose how you want your crab to be prepared. 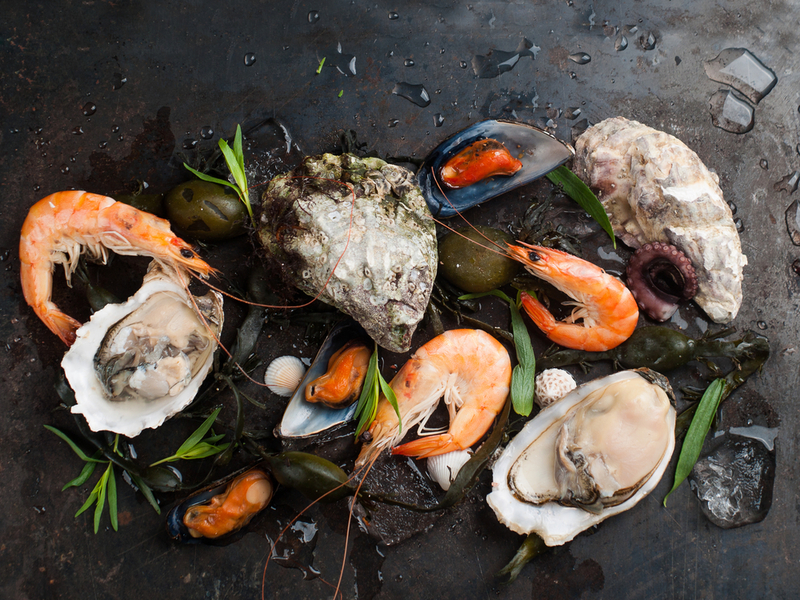 These four are only some of the best seafood restaurants in London. Of course, there are more establishments to choose from – you just have to do your research. I have a lot of favourite seafood recipes. 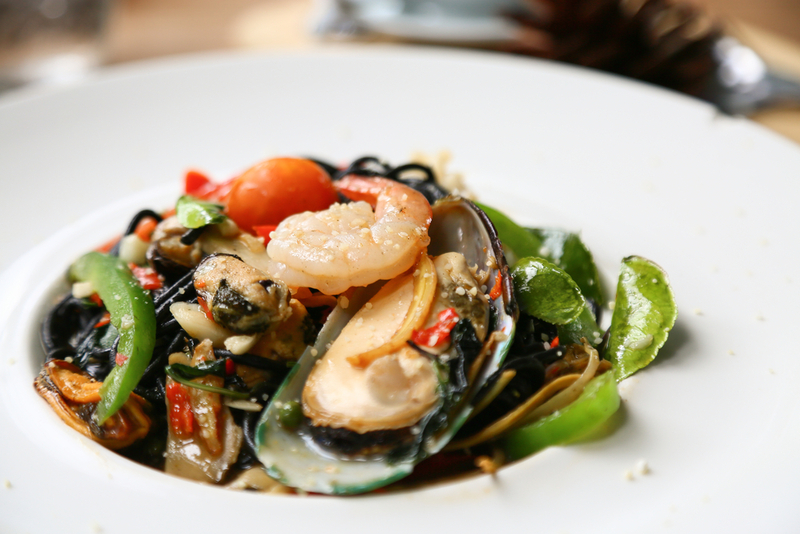 As you know, I have been fascinated with eating seafood dishes since I was a young lad. Over time, I have discovered a lot of recipes that interest me. I tried cooking all of them and some of them were successful while some of them were not. For the recipes that were successful, I sometimes tried to experiment with them a bit – they didn’t turn out too bad. I like experimenting with some of the recipes that I have tried in the past. It makes me feel like they are my own. Of all the seafood recipes that I tried, here are two that I love the most. I love cooking with cod and this is one of the best that I usually make. 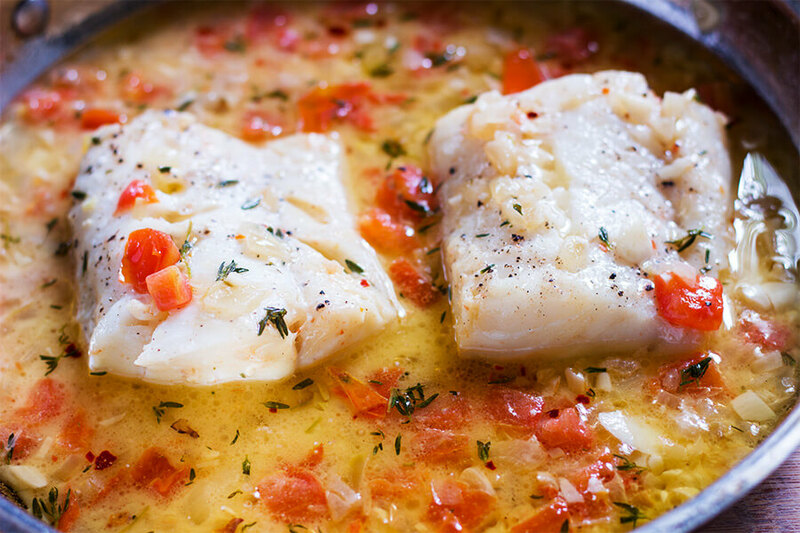 The best one to use for this dish is the Atlantic cod. So if you have that in your local market, that is what you should use. In case you do not have it, just be careful when you are stirring to keep the fish from breaking up. The first step is to cook 1 bag of brown rice – just follow the instructions and omit the salt and fat. Drain the whole thing after. As the rice is cooking, heat the skillet (with high heat) and add oil when it is hot enough. Sprinkle salt, paprika, and black pepper on the fish. Pan fry the fish until it is light brown on both sides. This should take 3 minutes on each side. Once cooked, turn the heat to medium heat and add garlic, shallots, and red pepper. Let them cook for 4 minutes then add tomatoes, chicken broth, white wine, and thyme. Let it simmer then add parsley and lemon juice. Combine the cooked rice, more parsley, and almonds. Place everything in a shallow bowl and serve with 2 pieces of fish each and scoop enough of the tomato mixture. This is another one of my favourites. I usually cook this for brunch. It is quite easy to do. First, I combine 3 tablespoons of green onions, shredded frozen potatoes, 2 eggs, and salt. Add some flour to help clump them together. Add 1 tablespoon of oil in a skillet over medium heat. Get ⅓ cup of the potato mixture and add to pan. Flatten the mixture and fry. Repeat until you have cooked all of the potato mixture. It should take around 4 minutes for each side to become brown and crisp. Place the potato cakes on a platter. 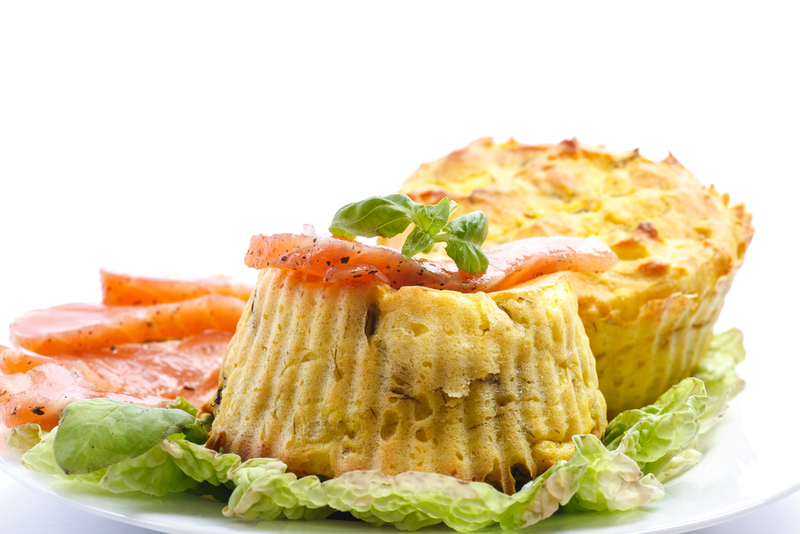 Take some cold-cooked salmon and place it on top of the potato cake. Add sour cream if you wish and some green onions. These are only some of the amazing seafood recipes that you can enjoy. There are a lot of other recipes that are found online. You can do your research and find the dishes that suit your personal taste and cravings. Let me tell you about my recent weekend in Malta. My friends and I all thought we needed a break from our hectic lives. I suggested that we spend a long weekend in Malta and everyone was happy to agree. So that weekend just happened and let me tell you a bit about the adventure that we went through. What I like most about Malta will probably not surprise you. After all, you all know about my obsession with seafood. 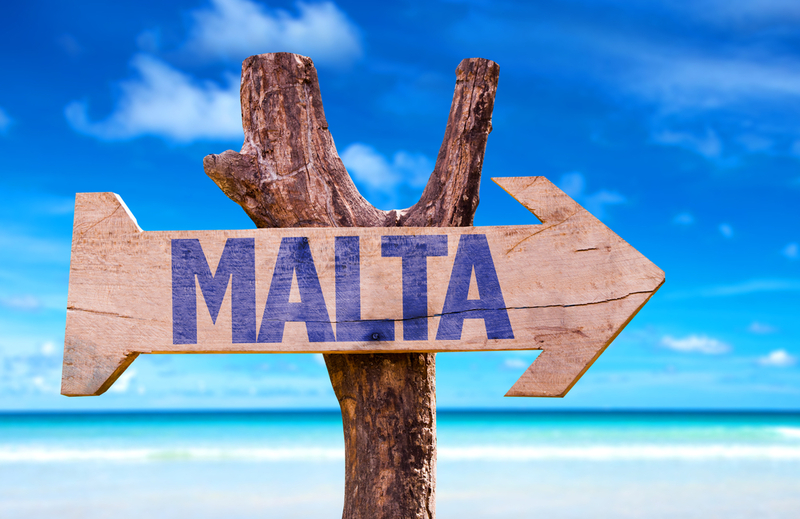 I suggested that we go to Malta because I had been itching to try out some of their dishes. I have read that in Malta, you get to eat dishes made from fresh fish – so fresh that it was caught on the same day. That was a big pull for me. Fortunately, my friends haven’t been to Malta so they agreed to go with me. So what were the dishes that I tried during our weekend in Malta? First was the Stuffed Calamari – or Klamari Mimlija as they called it. This dish is just like calamari but it has a Mediterranean twist to it. You prepare it the same way but you stuff it with a mixture that I think includes sauteed garlic, onions, breadcrumbs, and some cheese – ricotta if I am not mistaken. I seem to have tasted the tentacles also in the filling. The whole thing is also dipped in batter and deep-fried. The combination is amazing. Another thing that I tasted was the Lampuki Pie. This is also known as the dolphin fish. It is considered one of the most flavourful seasonal fish in Malta. This pie is usually served from August until December only. This dish can actually be prepared in different ways but serving it as a pastry filled with vegetables, lampuka, and herbs is the best version in my opinion. The last dish I tried during our long week was the Aljotta or fish soup. This is another traditional Maltese dish that uses local produce like tomatoes, onions, and fresh fish, of course. I like the rich taste of this soup. It can use any type of fish and that means this dish can be served any time of the year. I am planning to try this out myself when I get home. Obviously, we did not just try out dishes in Malta. My friends wanted to go to a casino and have some fun. So we scheduled one night out to go to Casino Malta. 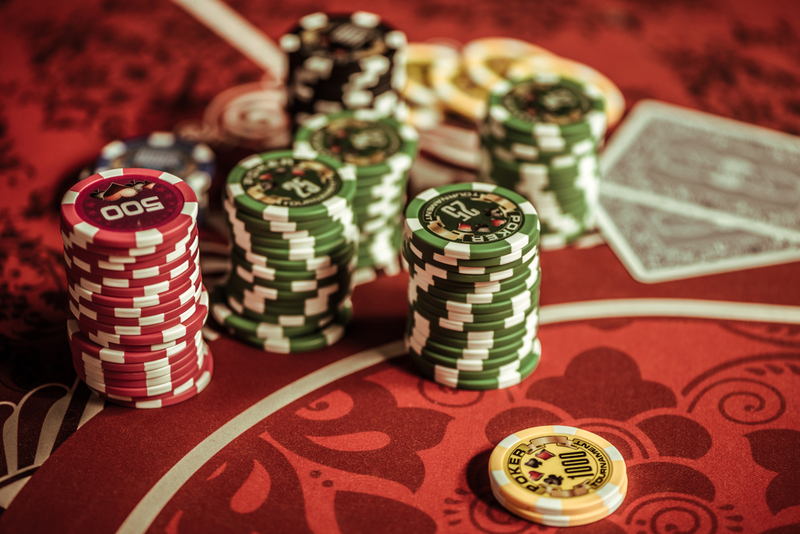 This casino is a great representation of a typical Las Vegas casino. The place is really big. I saw some electronic roulette tables, poker, and other table games, and of course, hundreds of slot machines. I played a lot of games that night. Mostly, I stuck with slot machines. But eventually, I got tired and ventured to the table games. I played Blackjack and American Roulette. I won a bit of money from the Blackjack table – which was awesome. With the money I won, I got back to the slot machines until my friend found me and dragged me out to visit the bar. I was not the big winner that night but I did win some so I am quite happy with our trip to Malta. Overall, I am very happy with our weekend in Malta. I think I want to come back. 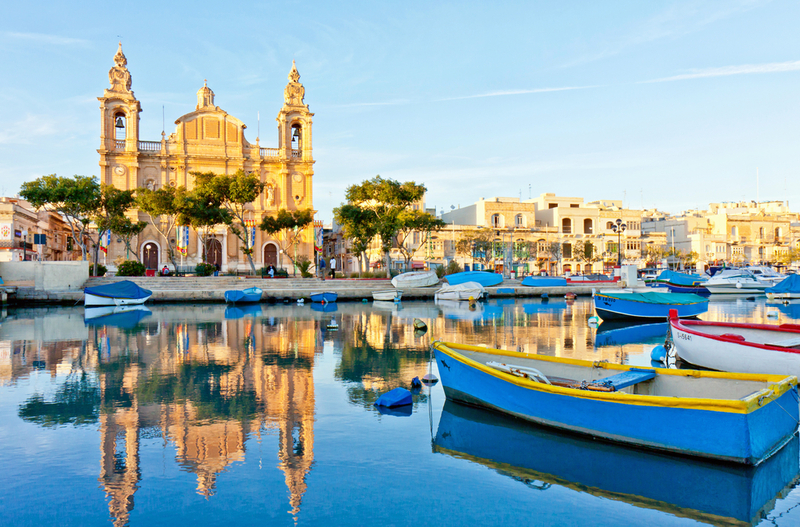 I will probably bring my folks here – they will probably love the Maltese cuisine as much as I did. Cooking seafood may seem intimidating for some people. 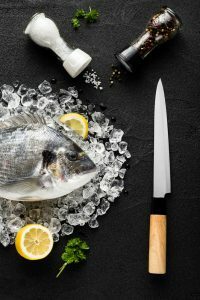 While it is generally the most simple ingredient to use, there are specific ways for you to cook different types of fish. Unless you know the right techniques that are appropriate for the type of fish that you will cook, you will probably end up making a lot of mistakes in the dish that you are preparing. 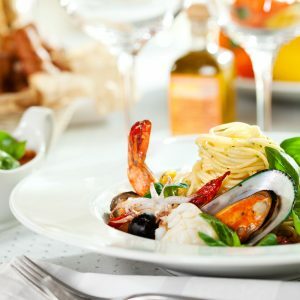 In this article, I will share with you the most common mistakes that people make when cooking any type of fish or seafood. I have committed the same mistakes and there were times when I had to throw everything out. Of all the mistakes that you can make while cooking seafood, here are three of the most general ones. Fish does not have enough connective tissue and also fat. That means it can cook easily. While this is great when you need a quick meal – but that also means it can easily be overcooked. The general rule is to cook the fish 10 minutes for every inch of thickness – is under medium heat. You will know it is done when you poke it with a fork and see that the meat is slightly flaky and opaque. It is also important to flip the fish only once – so do not turn it before it is cooked properly. Another common mistake that people make when cooking seafood is to over season it. Because of the delicate flavour of the fish, you can easily overwhelm it with the things that you put on it. So make sure that you do not go overboard. Most of the time, salt and pepper will do the trick. But if you want more flavours, you can also use butter, lemon, and some herbs. Olive oil is also a great addition when marinating fish. If you have to let it sit while marinating, do it for only 30 minutes. Any longer and the meat might become too mushy. Grilling is one of the best ways to prepare fish. However, fish usually sticks to the grill – which can ruin the whole thing. If you want to avoid this, there are a couple of techniques that you can do. First, you can cut the fish fillet into smaller pieces. You should also apply olive oil on the fish to keep it from sticking to the grill. It is also important to keep an eye on the fish and keep it moving. This will stop it from attaching too much to the grill. When the fish is slightly done, you can remove it from the grill and put it on a plate and place an aluminum foil over it. This will continue the cooking process. Cooking seafood should not be too hard if you only know how to avoid the common mistakes that can ruin a great dish. Learn what these mistakes are so you will know how to keep them from happening.